The explosive increase in sustainability reporting over the past ten years and the creation of supporting sustainability standards have been important achievements, but the they have yet to fulfill their promise of better aligning corporate goals with societal interests. One remaining problem is that the drive to quantify sustainability has resulted in more noise and less signal in environmental, social and governance (ESG) data. At the same time, sustainability ratings are increasingly becoming key indices against which corporate performance is measured. Ensuring that corporate decision making around sustainability issues is informed by solid ESG data is today’s sustainability challenge. 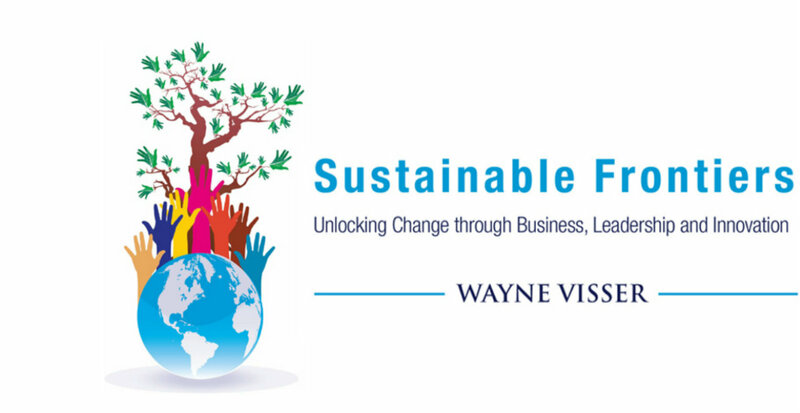 One of the most important authors that have driven the discussion about sustainability and corporate social responsibility is Wayne Visser. His latest book is Sustainable Frontiers: Unlocking Change through Business, Leadership and Innovation, in which he offers readers a holistic vision of a new sustainable future. Visser’s future is one where corporate-social systems move away from paternalistic forms of corporate sustainability, and realize new systemic models that are more interactive and adaptable. This evolution requires new tools that can better capture ESG information and although Visser predicts that advances in big data analytics can provide new tools for sensing corporate impact better, I see some limitations to this expectation. One of the points Visser stresses early on is that delivering on better corporate life-cycle assessments and countering low levels of trust in ESG ratings will require better transparency, openness, and consistency of ESG parameters. To this I would add that we also need more localized and more relevant data. Roughly 60 percent of the world’s population remains without access to the Internet for the foreseeable future. This means that we need to move beyond traditional sources of “Big Data” if we want to gain a better understanding of ESG dynamics on the ground. 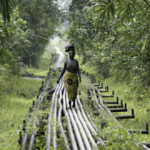 Finding ways to engage with the off-line communities and hidden populations is a practical challenge for businesses that want to foster sustainability initiative and reduce social and environmental risks. “Small Data”, collected on-site, through simple mobile-based stakeholder engagement systems help improve the representativeness and relevance of ESG data by providing site-specific social data from those that are most impacted by business operations. The ESG data revolution must rely on “Small Data” as much as on “Big Data”. Another important point Visser makes is that in addition to the expected changes in the way sustainability performance is being measured, the way in which stakeholders relate to information on corporate accountability is also evolving. Here, he finds two trending issues: one is the increasing role new data sources like social media; the other one is the effect new approaches to collect data – for example crowdsourcing – will have in improving stakeholder engagement, and in providing better insights in corporate ESG performance. The boom in creative platforms and interactive web technologies that follow social, environmental and ethical impacts of products and company activities – such as Convetit, Ethiscore, Wikipositive and Wikirate – will deepen and accelerate conversations between businesses and stakeholders. Or, as Visser puts it, “broadcast is out, dialogue is in”. Interactive web technologies are contributing to shifting the “sustainability frontier” not only by connecting stakeholders, but also by allowing stakeholders to collaborate. Visser also notes other factors that he thinks will influence the extent to which the sustainability frontier will shift. For instance, hyperconnectivity may not lead to more and better understanding of global conversations. As engaging with companies becomes the norm, the crowd can become disengaged and/or superficial: “the wisdom of the crowd can become the tragedy of the commons”. As a result, who says something may become more important than what they say. Functions like validating, vetting, referencing of information, and finding ways that can assess the reliability nature of crowdsourced information in addition to understanding how connections lead to collaborations will determine the success or failure of new engagement strategies. Visser’s list is comprehensive, and the only consideration I would add is the need to identify what incentives are needed to actively engage the crowd efficiently. Wayne Visser makes a persuasive argument that businesses will increasingly live in a fishbowl world: this is a world in which the popular demands for more transparency will increase, in which increasingly connected stakeholders whose perceptions are having greater impact on business success, and in which more data is available but will not necessarily be completely reliable, useful and objective. I agree with Visser’s view of the future, but we are still far from being able to sense global conversations accurately. Initiatives such as the Global Database of Events, Language, and Tone look promising, but need to include the voices of those without access to the Internet – still the majority of the global population – into the conversation as well. Other forms of ESG data collection tools, such as stakeholder platforms based on mobile technology, are more inclusive as they can reach the population most affected by business operations at scale. Such data becomes more relevant for managing stakeholder perceptions because company staff is able to monitor and measure their social license to operate based on data that has been collected at site-level and in real-time. The future of corporate accountability looks promising, but we need to embrace available tools intelligently, and businesses need to embrace innovation or, as Visser puts it, embrace “the art of letting go of the past”. Monitoring and Evaluation Specialist Linda develops monitoring and evaluation metrics that turn Ulual’s data into insights. Before joining the team, she worked on key environmental and social policy issues like land grabbing and resettlements in the extractive and agricultural sector in Eastern Africa and Mozambique. Are Worker Voice Tools Really About Workers’ Voices?